Yesterday, for some reason I turned on the tv with no particular show in mind and I ended up watching The Patriot and thinking how bizarre it is that we have learn and perpetuate our national historical identities through historical movies. It was Saturday afternoon on a long weekend, it was hot, I was tired, and I guess I just wanted to see what was on. There was nothing on. So I checked my pvr (which I also almost never use) and saw that there were a bunch of Simpsons and Modern Family episodes recorded (I must have set the recorder at some point) and three quarters of The Patriot. ‘Oh ya,’ I thought to myself, ‘I recorded the rest of this movie the last time I randomly turned the tv on in the afternoon. It’s the American history version of Braveheart but nowhere as good and has just as many historical inaccuracies. So I watched the rest…and honestly, skipped a bunch of it just to see the battles. Mel, why won’t you go back to doing this kind of movie? Being true to philosophical hermeneutics (herma-what?) I need to talk mental stock of what my preconceptions are before watching this movie. I like movies of grand proportion. any time there is a cannon firing I’m pretty much going to watch it. I like Mel Gibson, faults and all. 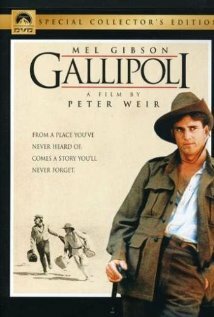 Interesting that he has made huge movies about a Scottish hero and American independence and yet his Australian film about WW1, Gallipoli, is by far the best and not seen by many. He is really good at the Payback kind of movie too. I recently watched Get the Gringo and it is pretty tight. I could go on but these seem most important now. So back to this idea that historical fiction from Hollywood (mostly) is teaching us history. Try as I may as a teacher, I am pretty sure many kids come out of our education system knowing little about history. I don’t just mean memorizing dates and events which sadly, many seem to think history is and many history classes are taught this way. There are different ways of looking at history and to simplify it I am going to say that studying history is a look into the human soul. History is the study of the human story and we are part of this web that stretches back to the time of pictographs that told stories themselves. Historical fiction is a part of this study but only a part. I use historical movies a lot to demonstrate what a period looked like, what it sounded like, what people may have said and felt at that time. Difficult as it may be for us to determine what someone 800 years ago felt, historians try their best to help us get a better picture of what the people that came before us experienced and how they lived these experiences. Watching Braveheart in the theatre back in 1995 (7 times I might add which is the most times I have been to see a single movie. The Phantom Menace was second with 5 I think but I can’t fathom why) was an experience that drove me from studying tedious sciences in university to the Humanities because something stirred inside that made me want to grab a sword, throw my pants away (and get a kilt if you are not following) and run around the highlands of Scotland in the footsteps of William Wallace. I was an academically changed man, or man/boy or whatever, I was only 19. Now a few years and two degrees later, I am deep into history so much so that I sometimes dream I am a noble lord reprimanding peasants to bow before me (for more on this story see my wife because it actually happened although I have an excuse…forget it. It happened) yet as I watch a movie like The Patriot, I can’t help but sigh and say, “why Mel?” The movie is garbage and although it has cannon fire and a lot of Red Coats marching, I fear the average person who doesn’t read a history book or knows only a bit about the American Revolution (or Rebellion if you are British) will see the movie and think that Americans won that war because they were fighting for their own land who the evil Brits were defiling. I don’t want to get into all the little bits and pieces that are wrong with a movie like this because there is limited space (and people rarely read beyond 500 words…dammit, I’m too long already). However, one rule to keep in mind is that things involving humans are more complicated than they are often made out to be. There is an article in the Washington Post on Syria that is worth reading because it gives a short background to the civil war there and the futileness of any kind of intervention in making things better. I also wrote a paper on historical fiction that explores more of the philosophical/historical implications of “Hollywood history” but it’s academic and probably boring to most. It’s a subject I like and as long as they keep making the movies I will most likely see them. However, for The Patriot, it is now deleted from my pvr. Until next we meet again on a lazy Saturday afternoon.